Clemmons Presbyterian Church is located at 3930 Clemmons Road in Clemmons, North Carolina. The church first started organizing in 1961 with the support of First Presbyterian Church in Winston Salem, North Carolina. Our Campus is comprised of four main buildings, along with a shed classroom, a playground, and a Memorial Columbarium. 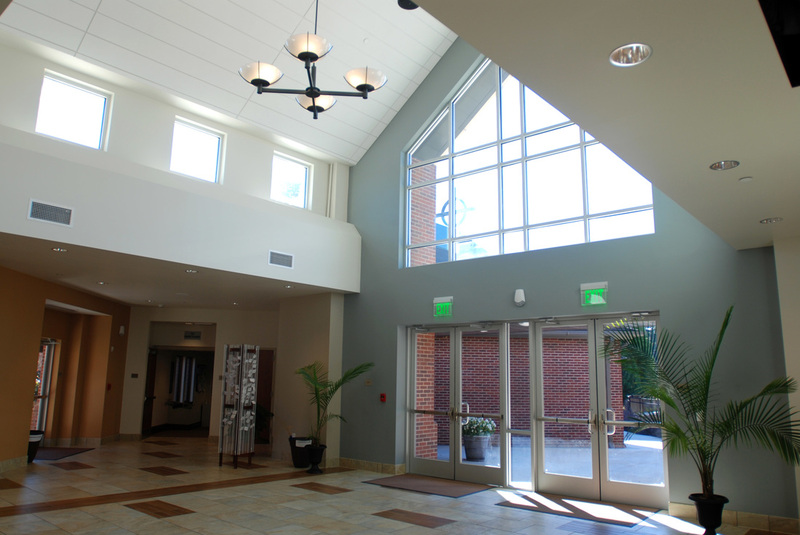 ​The atrium is the entryway that connects the fellowship hall and the sanctuary. This building houses the church offices, several classrooms, the Nursery, and the Weekday Preschool. This building houses the Fellowship Hall (Old Sanctuary), the kitchen, and several classrooms. ​The Playground is located outside the 100 and 200 Buildings. The Memorial Columbarium is located at the foot of the Old Sanctuary outside the 100 Building. For more information Click Here.